Now for you, Proving Ground has new machine learning examples with the LunchBoxML plug-in for Grasshopper. Last year, Proving Ground introduced LunchBoxML—a machine learning plug-in for Grasshopper and Dynamo that uses the Accord Framework. 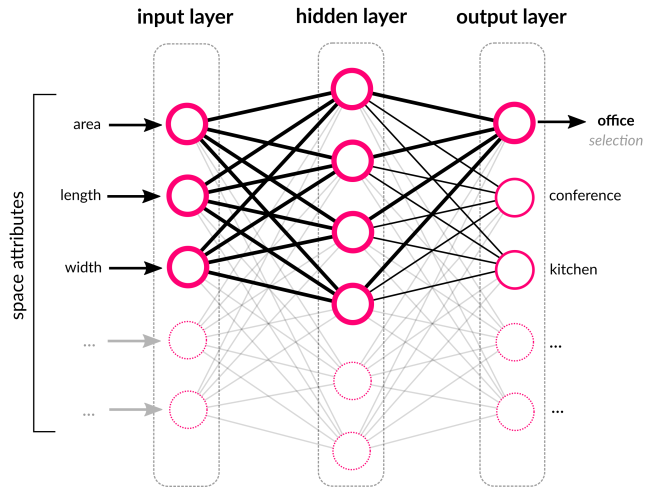 Now, LunchBoxML introduced a few new examples to show the application of Gaussian Mixture and Neural Network components. The Gaussian Mixture model demonstrates an unsupervised learning algorithm to group 3D panels based on geometry attributes for size and shape. 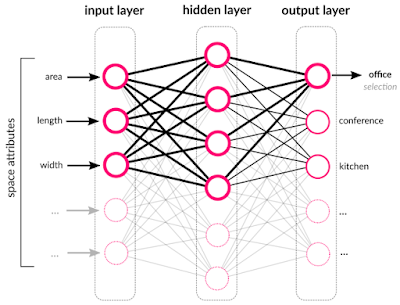 The Neural Network example demonstrates a simple supervised learning algorithm that uses training data about space attributes (area, length, and width) and their resulting classification (office, conference, etc.). The Accord.NET Framework is a .NET machine learning framework combined with audio and image processing libraries written in C#. It is a complete framework for building production-grade computer vision, computer audition, signal processing, and statistics applications.